peritonitis should be treated empirically. Prevalence is 19% in general population. 32% are admitted from ED. Persons older than 65 are 80% of those admissions. Transient dysfunction of bilateral cerebral hemispheres or the brainstem (RAS), usually from hypoperfusion. Huge array of causes. Must distinguish from other causes of apparent sudden LOC (seizures, cataplexy, etc.). Must rule out life-threatening causes first, i.e. dysrhythmias, MI, stroke, etc. EKG in all patients unless patient is adolescent with clear vasovagal origin. suspected, consider echo, continuous EKG, or stress testing before discharge. but may be unreliable to assess volume status. Carotid sinus massage could potentially elicit presyncope/syncope. diagnoses can be treated as outpatients. breath, hypotension, anemia, or history of heart failure. Safety and efficacy of this rule have not been established. hypotension, etc.) should be stabilized in the ED and admitted to the ICU or a bed with telemetry. Unfortunately, the ED evaluation of syncope is often inconclusive. Up to 50% will not have a diagnosis at discharge. Patients less than 45 years old without worrisome symptoms, signs, or EKG findings may be treated as outpatients. heights. Recurrence may be as high as 50%. Manifests as a wide spectrum of disease, i.e. sleepiness to decreased alertness to frank coma. Can be categorized into metabolic/systemic, structural, and psychogenic causes. Most cases caused by metabolic/systemic, followed by structural and then psychogenic causes. for arousal and cortical activation. ARAS is located in the dorsal part of the brainstem. cerebral cortex injury is usually due to both hemispheres being affected. This contrasts injury to the brainstem, which must be totally intact for arousal to be unaffected. 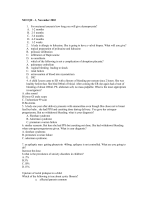 ARAS becomes impaired cerebral cortex cannot be aroused depressed consciousness/coma occurs. Very unusual for ischemic stroke to cause depressed consciousness. Patients often found down, important to rely on family, friends, prehospital personnel for history and information. neurological exam, pay particular attention to the eyes. Dolls eye reflex and cold water calorics can provide information about brainstem function. 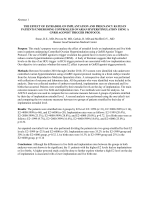 do lumbar function for CSF analysis, thyroid studies and ammonia level. Get coags before any invasive procedure. (initial imaging of choice), MRI to evaluate masses or edema, CT angio or venography for obstruction or shunt malfunction. Also get a CXR, Perform an EKG. ABCs initially. GCS < 8 u must intubate (unless cause is easily reversible, i.e. hypoglycemia, opioids). start mannitol, increase RR to achieve a pCO2 ~35. вЂў Vast majority of pts with depressed consciousness or coma require admission to the hospital for further tx and workup. discharged from the ED following a period of observation. *Please see figure 16-3 for algorithm for diagnostic approach to altered mental status and coma. Incidence is chronically underestimated вЂ“ often incidental or secondary to the primary diagnosis. 2% of ED patients, 10% of hospitalized patients and 50% of elderly hospitalized patients. For elderly ED patients, Delirium is an independent predictor of increased mortality within 6 months of d/c. Largely a disturbance in the content of consciousness, NOT in the level of arousal or activity, with varying severity. o Extreme confusion вЂ“ which incorporates arousal/activity вЂ“ Is termed delirium (hyperactive or hypoactive). Focal cortical dysfunction (stroke, tumor) rarely causes confusion, but can cause receptive/expressive aphasia. Subcortical/brainstem dysfunction causes a change in the level of alertness. When the patient last exhibited вЂњnormalвЂќ cognition and behavior? Any recent illnesses, drug use or changes in medication? Patient must be protected from self-harm (medication or restraints may be required). Laboratory tests and diagnostic imaging are less often helpful. o Serum electrolytes (BMP) testing is indicated in all cases. o Urinalysis (UTI) and CXR (pneumonia) are common tests for suspected infection. Treat the underlying cause! Observe for clinical improvement, and d/c when confusion has resolved. **Figures 17-3 and 17-4 on page 154 of Rosen Volume 1 (8 Ed.) represent helpful algorithms for diagnosis and management. >10% of the United StatesвЂ™ population will experience at least 1 seizure in their lifetime. 3% of EMS transports, 2% of Pediatric ED visits, and 1% of overall ED visits. 3% of the US population diagnosed with epilepsy, 7% of patients in ED with seizures are in status epilepticus. Febrile seizures occur in 2-5% of children age 6 months to 5 years. o 20-30% of these have at least one recurrence. Abnormal increased activity of cortical initiating neurons that activate adjacent neurons, propagating the abnormal signal. At the cellular level, pathophysiology is poorly understood. Patient should be taken to a monitored area of the ED and prepped for immediate physician evaluation. Blood tests and EEG are generally unhelpful, although serum sodium is always important to assess. o Serum anticonvulsant levels, LFTвЂ™s and tox screen only when those etiologies suspected. Serum anticonvulsant levels, LFTвЂ™s and tox screen only when those etiologies suspected. Reversible causative disorders should be considered first and treated. Acute antiepileptic therapy depends on odds of recurrence, underlying predisposing disease and medication risks. o It is estimated that 25 to 50% of SAH are missed on the first presentation to a physician. Brain parenchyma is insensitive to pain. Much of the pain is mediated by the 5th CN. Pain-sensitive areas of the head include the meninges, the blood vessels, and tissues lining the cavities within the skull. Pattern/Onset- suddenness of onset/вЂњworst everвЂќ warrants a consideration of SAH. Onset on exertion. and severe migraine are more diffuse. Prior History- Important to know if pt had prior work up for severe disease. Migraine, tension, and cluster tend to recur. at 3 to 5 days. any other indication suggestive of a focal intracranial mass lesion requires CT before lumbar puncture. Mild-Mod: Oral NSAID. If you suspect intracranial infections; empiric antibiotics before CSF. to be present, conditions for which opioid analgesia is effective and beneficial. 1. Is the diplopia monocular? 2. Is the binocular diplopia a result of a restrictive, mechanical orbitopathy? 3. Is the binocular diplopia a result of a palsy of the oculomotor CNs (III, IV, or VI) in a single eye? 4. Is the binocular diplopia a result of a neuroaxial process involving the brainstem and related CNs? 5. Is the binocular diplopia a result of a neuromuscular disorder? Traumatic eye injuries are the leading cause of visual impairment and blindness in the United States. Redness is caused by dilation of bloods vessels in the conjunctiva, sclera, and retina. Ocular pain originates from irritation or inflammation in the conjunctiva, cornea, iris, or vasculature. Headache and nausea are common sxs in acute angle-closure glaucoma. evaluation, pressure determination, slit-limp, and fundoscopic exam. Application of a fluorescein solution will often identify damage to corneal epithelium (corneal ulcers, corneal abrasions). A dendritic pattern on the cornea is often present with a herpetic infection. corneal lesion, modest relief suggests conjunctival process, and no relief suggests an intraocular origin. Elevated CRP and ESR are common in temporal arteritis. When an infectious process is likely, CBC and cultures are unnecessary in the ED. U/S is more sensitive than CT for detecting intraocular foreign bodies. alkalis, irrigation should be a minimum of 4 liters and 40 minutes; for acids, 2 liters and 20 minutes. 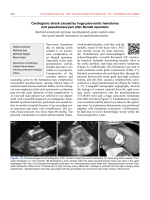 Retrobulbar hematoma вЂ“ if IOP > 30mmHg, may require lateral canthotomy and inferior cantholysis in ED. With proven bacterial conjunctivitis, a topical broad-spectrum abx has show benefit (trimethoprim + polymyxin B). Vast majority of patients with eye complaints are discharged and asked to follow-up in 1-2 days w/ ophthalmologist. Reasons for admission: procedural intervention, parenteral antibiotics, intractable pain, and further diagnostic evaluation. Regional infections, both viral and bacterial, trigger inflammatory changes in lymphatic tissues within WaldeyerвЂ™s Ring (i.e. Assessment of the airway and patientвЂ™s general appearance, direct visualization of the pharynx and pharyngeal structures. airway (i.e. cricothyrotomy, due to risk of laryngospasm) to evaluate for infectious or structural causes of obstruction. If patient is stable and there is concern for epiglottitis, consider plain film for screening, looking for вЂњthumb signвЂќ. Consider CT in stable patients with secure airway. Plain film sensitive for disease. Centor criteria for GAS (history of fever, tonsillar exudates, tender anterior cervical adenopathy, absence of cough). Consider rapid strep test or Monospot test if clinically relevant. Manage airway compromise or impending airway compromise first. Titrate analgesic meds (i.e. topical anesthetic sprays, APAP, NSAIDS, opioids). Consider corticosteroids. In setting of clinical pharyngitis, a fluctuant unilateral peritonsillar mass should be drained when possible. testing with the goal of treating with antibiotics when GAS is identified or strongly suspected. recurrence of pharyngitis, and occasionally dangerous allergic reactions). as needed. Consider antibiotics only if high likelihood of GABHS in endemic, epidemic setting of rheumatic fever. and/or advanced airway management if needed. Provide empiric steroids and antibiotic coverage. Most cases of hemoptysis in the ED are small-volume, usually from blood-tinged sputum or minute amounts of frank blood. any 24-hour period, resulting in up to 80% mortality. Trace hemoptysis occurs via disruption of tracheobronchial capillaries from vigorous coughing or minor bronchial infections. high-pressured and are the culprit in 90% of massive hemoptysis. is negative. Do not delay CT scan to obtain a CXR. strain, rib fracture, arthritis, costochondritis, spinal root compression, herpes zoster, postherpetic neuralgia, etc. o Admission with cardiology consult вЂ“ myocardial ischemia, pericarditis, myocarditis, etc. biliary system, emptied in gut and metabolized into urobilinogen and stercobilin. Urobilinogen reabsorbed and exrected in urine, while stercobilin is excreted in stool. Clinical jaundice not evident until total serum bilirubin concentration > 2.5 mg/dL and observed in albumin-rich tissues. Physiology altered in three areas: 1. Overproduction of heme products (hemolysis) 2. Hepatocellular dysfunction 3. 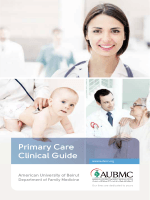 Patients may be asymptomatic or have nonspecific symptoms: pruritus, malaise, or nausea. classic for neoplasm involving head of pancreas. Ill-fitting clothing complaints due to weight loss or increasing abdominal girth due to ascites. 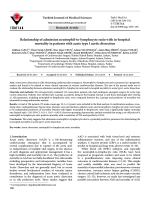 Personality changes or confusion may suggest hepatic encephalopathy. liver disease may be present (angiomas, caput medusa, excoriations from pruritus). cirrhosis. Splenomegaly-hemolysis, malignancy or portal hypertension. 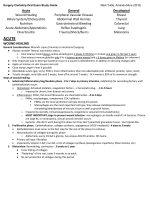 Physical exam with emphasis on abdominal, skin and neurologic exams. checked with patients with AMS. If ascites present and suspect SBP, paracentesis is diagnostic. benign obstruction. CT is preferred if entire abdomen needs to be evaluated or high likelihood of malignancy. Indirect bilirubinemia points to a hematologic cause, whereas direct bilirubinemia indicates hepatobiliary pathology. Specific therapies depend on the presumptive cause of the jaundice. Supportive therapy with IV fluids, analgesics, antiemetics. If hemolytic cause, consider transfusion based on patientвЂ™s ability to oxygenate. Urgent hematology consult. SBP treated empirically with a 3 generation cephalosporin. with new-onset jaundice if transaminases >1000 IU/L, bilirubin >10mg/dL or evidence of coagulopathy. take oral fluids and no evidence of active bleeding/coagulopathy or complicating infectious process. Patients with extrahepatic obstructive jaundice admitted for drainage with ERCP. Consultation with surgery, GI, hematology, OB as indicated by cause of jaundice. Fulminate hepatic failure patients should be admitted to ICU. Melena вЂ“ dark, tarry stools. Occurs secondary to upper GI bleed. *may rapidly lead to exsanguination and death. (often better assessed via vitals); Appearance вЂ“ hematemesis, melena, hematochezia. hyper secretion of water, electrolytes, blood and mucus. Abnormal Motility вЂ“ decrease contact time between absorbing mucosa and luminal contents. General Oral Rehydration for Mild to moderate fluid loss. o Abx treatment in severe cases may lead to HUS or TTP AVOID ABX IN PEDS PTвЂ™S!! Prevalence is 16% in the U.S.
Any structural, metabolic, mechanical, neurologic, or behavioral abnormality may cause constipation. very small % end up having more serious concerns like herniated disc, spinal stenosis, fracture, and congenital disorders. About 1% of all back px pts will have вЂњtrueвЂќ sciatica. 72% will have completely recovered in 1 yr.
spinal column, cord or root, musculature, or visceral organs. posterior thinning of the annulus fibrosus in those areas. small % of overall instances) is usually symptomatic. threatening causes and should be addressed immediately. aortic aneurysm, hypertension with aortic dissection, fever with abscess, osteomyelitis, or diskitis). Neurologic assessment may be abnormal in more serious etiologies of back pain. Guided primarily by HPI and physical exam. loss, and focal muscle weakness with any abnormal findings a cause for serious concern and greater investigation. but only 28% specific for disk disease. o This test is often negative in pts with Spinal Stenosis! history of bowel or bladder dysfunction. etiology is possibly infections or possibly renal in nature but even these have poor prognostic values. and based on the specific red flag noted. probability of serious injury or pathology is low. o CT- used if a spine fracture has been identified or a more complex fracture is suspected. o MRI- used if a disk condition, hematoma, infection, or a mass is suspected to be the cause of the problem. nonmechanical back pain sources is suspected. o Stable Pts- Early effective pain management can be of significant value. o Unstable Pts- Treat the underlying cause. opioids such as morphine or hydromorphone may be considered for severe px. (cord compression, epidural abscess/hematoma) will require neurosurgical consultation. admission to the hospital or observation unit. adequate discharge instructions detailing doвЂ™s and donвЂ™ts are provided. management by the primary care physician or a pain management center. *** Opioid medication should NOT be administered or prescribed in the ED for such patients, absent a new, acute condition.